Todays maker is Karen of woolNsilk, I got one of her beautiful scarves for Christmas last year, love it! 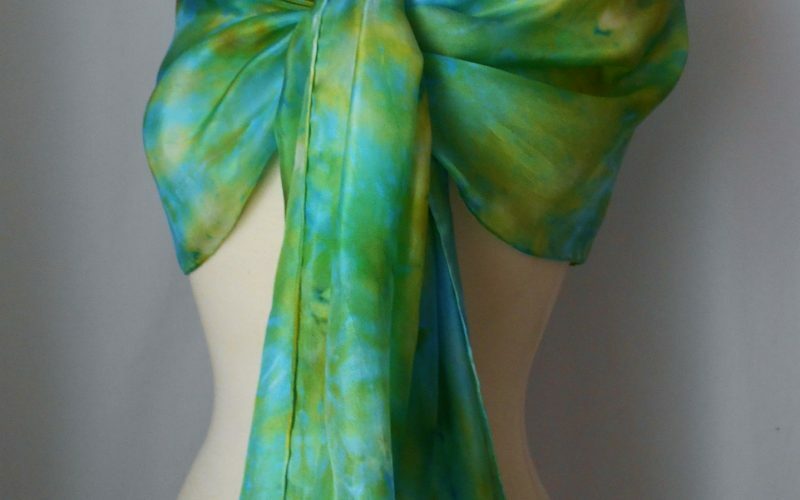 I hand-dye silk scarves, working with direct colours. Each scarf is totally unique, as the dyes create their own shades and patterns. Some of the silk is then used in conjunction with my other main craft – wool felting. 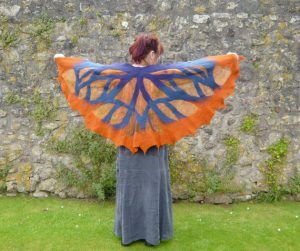 I create one-off nuno felted scarves, working with either silk chiffon or very lightweight habotai silk, to create scarves and wraps that have warmth, yet still drape and hang beautifully. Smaller pieces, include a range of felted neck warmers, and I also make free-formed brooches – just to add that special touch of something unique and hand-made to a favourite coat, hat or bag :). I have worked with Textiles for the last 30 years, and taught Design Technology Textiles for the last 15 years. My Etsy shop was born as a result of becoming a mother, who then taught part-time. Once my son started to attend school, this extra time enabled me to get back to making things to full-fill my own creativity. I just am a designer/ maker. Lived it, breathed it my whole life! If you could pass any law what would it be? Work hours should be 4 days a week instead of 5 so that you have more time to spend with friends, family and the pursuit of your own goals. You can find Karen on Etsy at any time, and of course she will be with us at Tramshed on the 4th of December with her amazing makes!